Razer debuts customizable Wolverine Ultimate controller for Xbox One and PC. 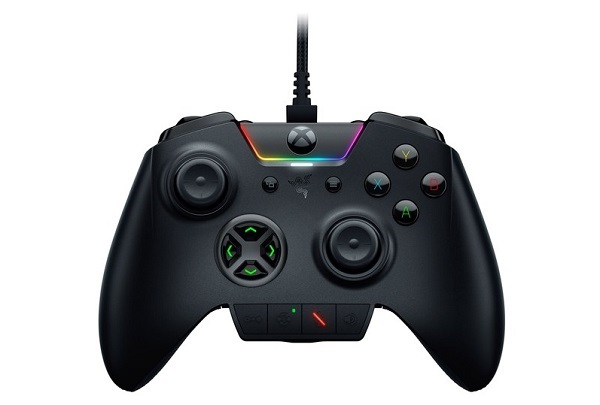 Razer today announced the officially licensed Razer Wolverine Ultimate gaming controller for Xbox One and PC. The Razer Wolverine Ultimate was designed to adapt itself to any gamer. Two interchangeable D-Pads, a range of interchangeable thumbsticks with different heights and shape and a total of 6 remappable triggers and buttons - both via Razer Synapse for Xbox and on-the-fly - provide maximum customizability. Additionally, the Razer Wolverine Ultimate will be the first professional-grade controller to support the Razer Chroma SDK, allowing developers to integrate advanced lighting capabilities for Xbox One games, and console controllers for next level gaming immersion. The Razer Wolverine Ultimate expands Razer's range of Xbox One peripherals consisting of the Razer Thresher Ultimate wireless gaming headset and the Razer Atrox fight stick.